The online version of this article ( https://doi.org/10.1186/s13395-019-0193-2) contains supplementary material, which is available to authorized users. 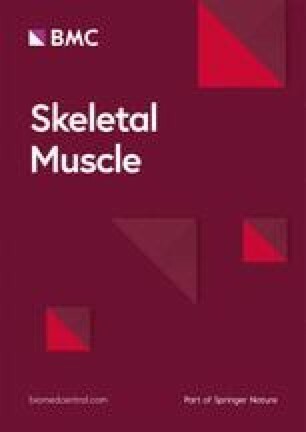 The skeletal muscle atrophy is a complication secondary to denervation, starvation, aging, disuse, and cachexia . 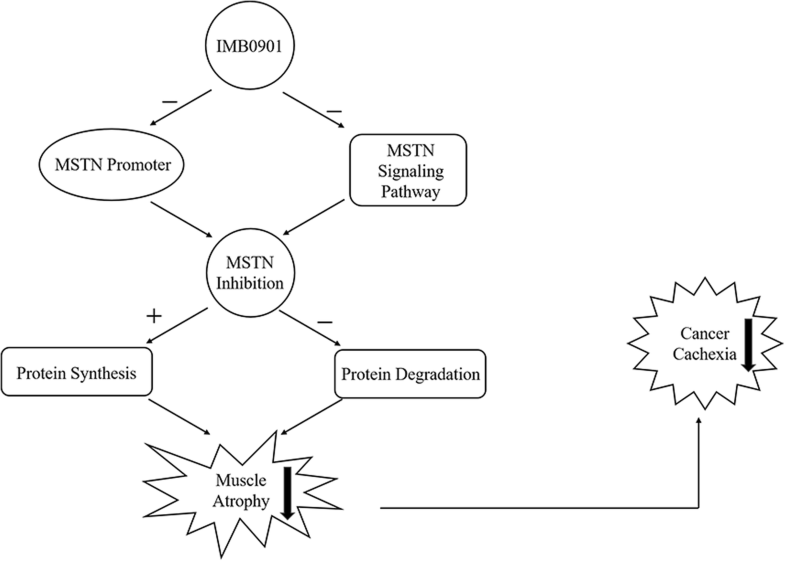 Attenuating muscle atrophy is a main approach to treat cancer cachexia. The molecular mechanism of muscle atrophy is associated with a combination of reduced anabolism and increased catabolism. 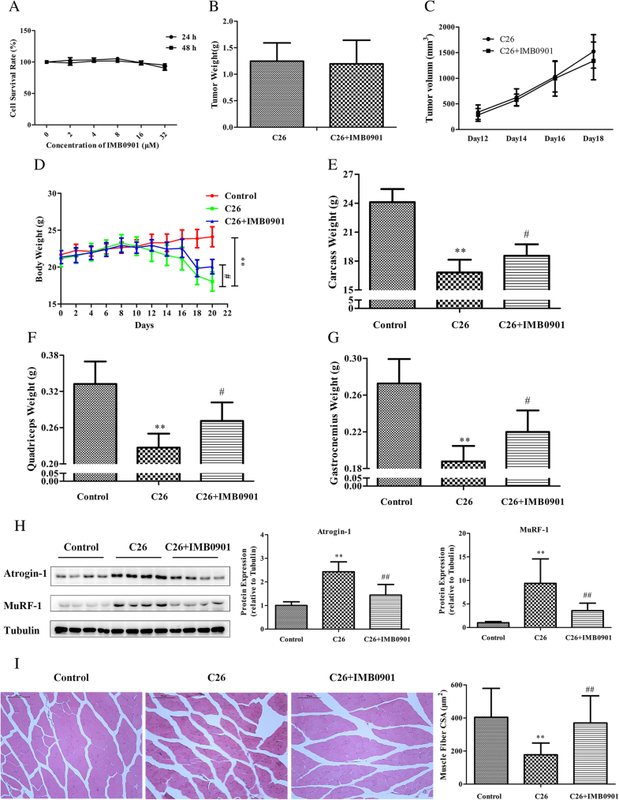 Smith and Tisdale first discovered the inhibition of protein synthesis induced by cancer cachexia in the mouse model of MAC-16 adenocarcinoma . The excessive protein degradation occurs mainly through the ubiquitin-proteasome and autophagy-lysosome ways . 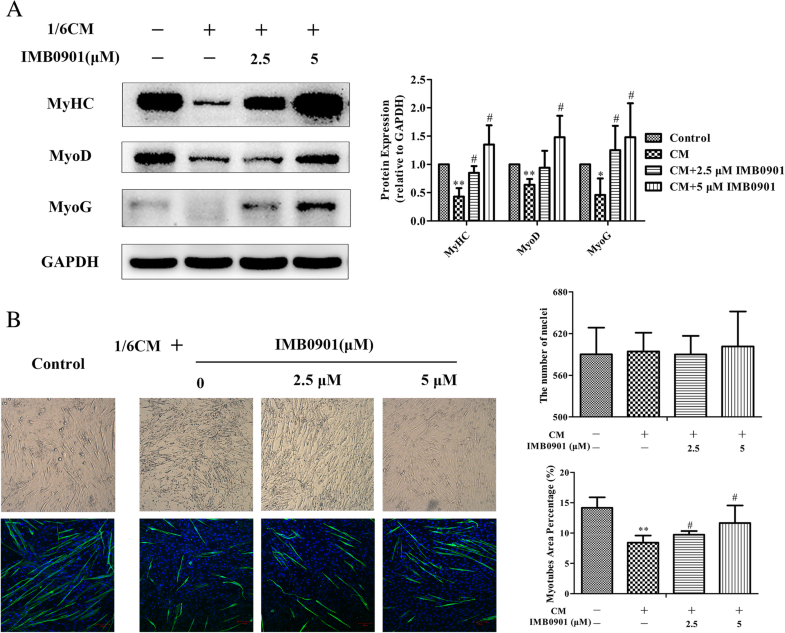 The former is a common manner for protein degradation, in which Atrogin-1 and MuRF-1 as muscle-specific E3 ligases are key proteins mediating in the muscle atrophy of mouse. At the same time, many extracellular ligands (IGF-1, proinflammatory cytokines and the members of TGFβ family etc.) 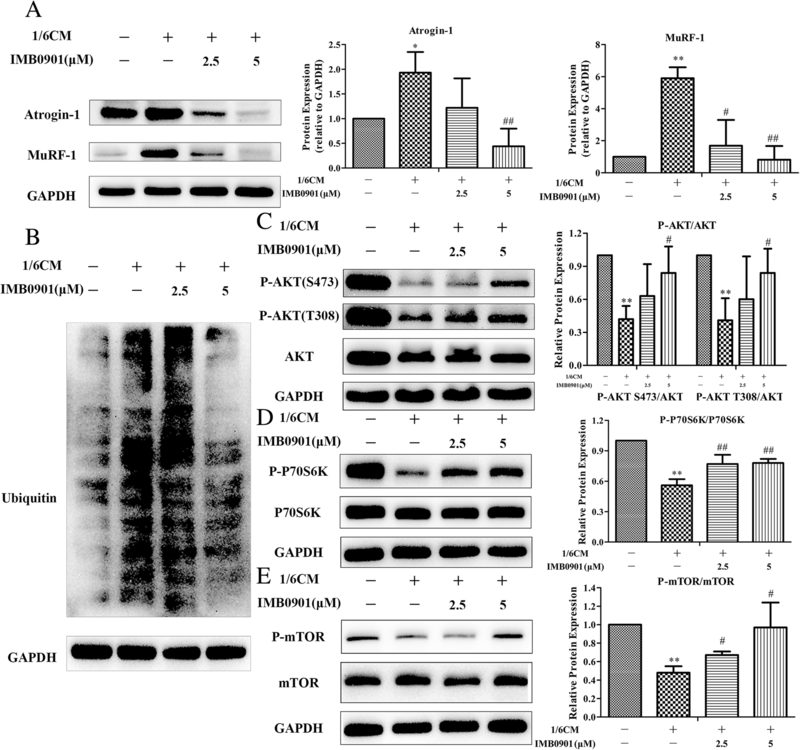 are associated with muscle atrophy induced by cancer cachexia [11, 12, 13]. 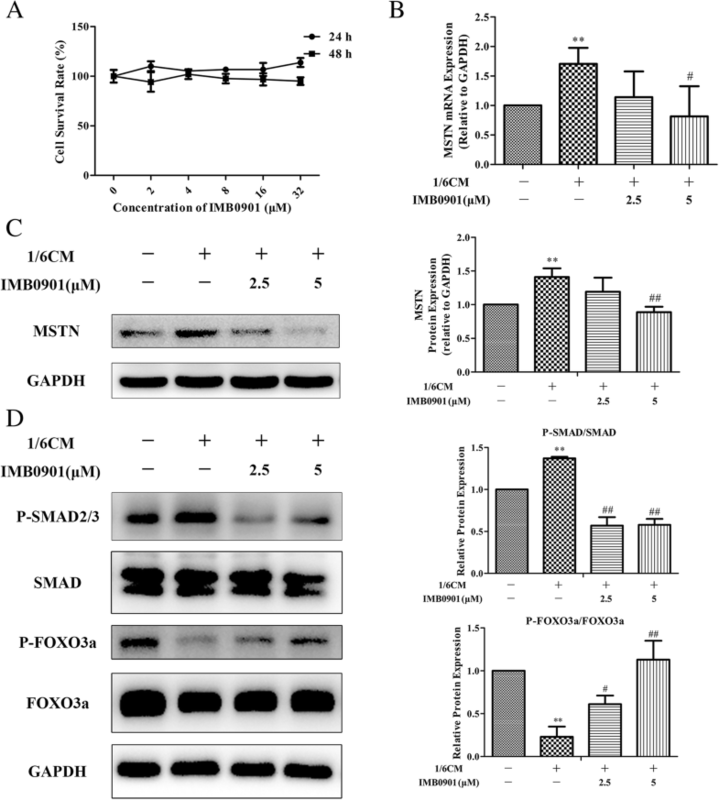 Especially, IGF1-activated PI3K/AKT/mTOR signaling pathway  and inflammatory cytokines TNFα, IL6, and IL1α  are closely related to muscle atrophy induced by cancer cachexia. In the clinical treatment of cancer, chemotherapy is a routine method, and IMB0901 did not affect the inhibitory effect of cisplatin, doxorubicin, and gemcitabine on the growth of tumor cells in vitro. 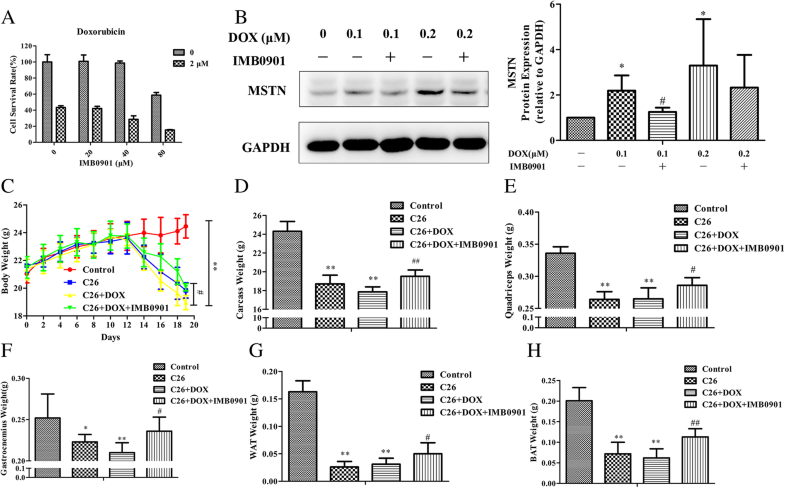 It has been reported that doxorubicin can aggravate muscle atrophy caused by cancer cachexia and the mechanism is also related to MSTN [34, 35, 36]. In this study, we found that IMB0901 had inhibitory effects on doxorubicin-induced MSTN upregulation in C2C12 myotubes and a significant alleviation of symptoms induced by C26 tumors and doxorubicin. 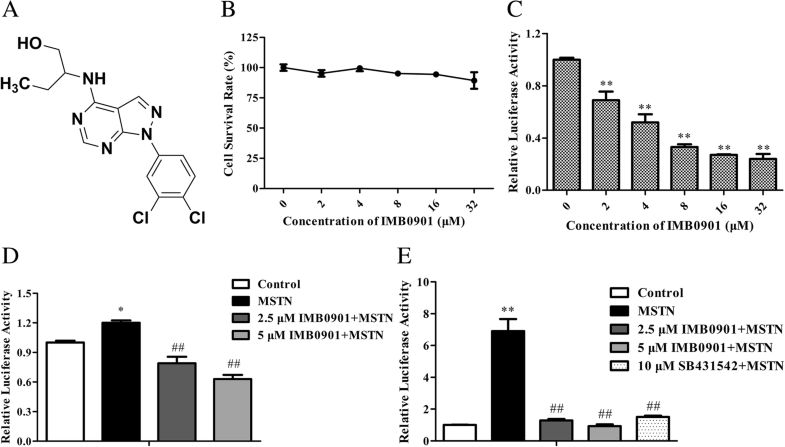 The relationship between IMB0901 and doxorubicin is worth our further study.